Learn which of your organs are undernourished and which are strong. Cut through the confusion and hype, avoid unnecessary drugs and resolve your symptoms naturally. 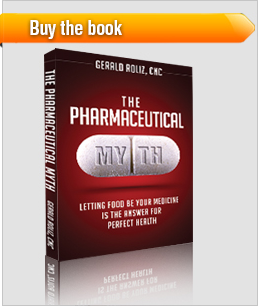 As a clinical nutritionist that consults with clients around the world, and author of the must read book, The Pharmaceutical Myth: Letting Food be Your Medicine is the Answer for Perfect Health, Gerald Roliz, CNC receives a lot of questions about why do uncomfortable symptoms develop. It’s no wonder people are confused: there’s so much conflicting information out there, and a lot of it is wrong. The matching of a drug to suppress a symptom overlooks the origin of the symptom. 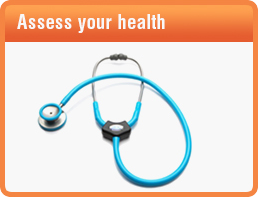 Your symptoms are early indicators of specific organs in need of help. A symptom is like a check engine light that turns on when something under the hood requires more attention. Symptom suppressing medications are simply duct tape covering the check engine light. While the light remains on, the engine problem is still unresolved, risking you or your loved ones for something more disastrous down the road. Fill out our online health questionnaire to further investigate which organs are in need of support based on your current symptoms and receive a Report of Findings. “As soon as I began to investigate the root causes of my Fibromyalgia, I began a program with specific whole food concentrates of foods my body craved for years and within 6 weeks, I was pain free. Thirteen years of anti-depressants, pain killers and other useless pharmaceuticals did nothing for me. I’m so glad I found The Healing Body” ~Mary, L.
“I was diagnosed with Type II diabetes and was rapidly gaining weight. After developing a foot ulcer, my doctor warned me about amputation. My friend told me to start changing my life. I didn’t know how to until I realized which of my symptoms were caused by our poor nutrition. My ulcers have gone away and my blood sugar has been stabilized.” Jay C.